An eight-car field of front-engine Top Fuel dragsters are motoring towards Firebird Raceway in Boise, Idaho to battle at the Pepsi Nightfire Nationals, the 3rd meet in the 5-race 2017 NHRA Hot Rod Heritage Top Fuel points series. Assembled drivers and teams will join the largest gathering of nitro-burning cars in Nightfire Nationals’ event history for three days of qualifying and heads-up eliminations under-the-lights in celebration of the 50th year of drag racing action at Firebird Raceway. Bowling Green NHRA National Hot Rod Reunion event winner and current points leader Jim Murphy is wheeling the Roland Leong-tuned WW2 hemi-powered dragster with renewed consistency into the Boise battle after a March Meet defeat at the hands of 2nd place points holder Mendy Fry and the High-Speed Motorsports team. 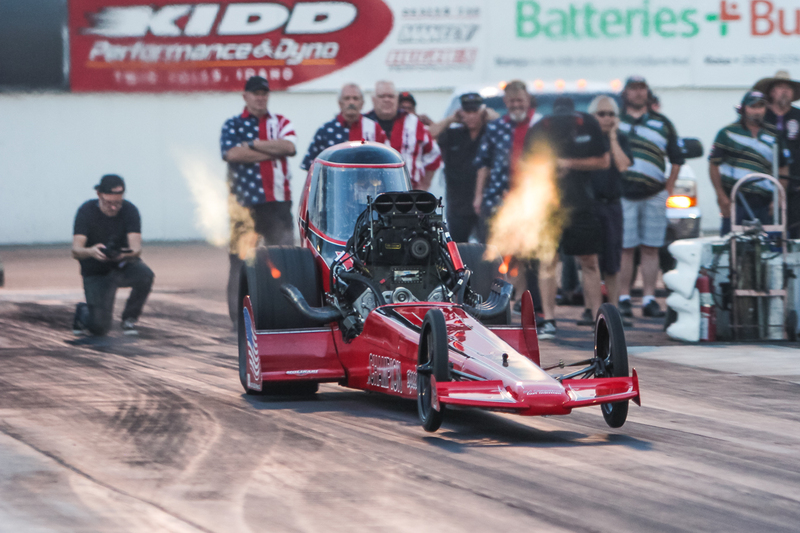 Reigning AA/FD Top Fuel champion and 3-time Nightfire Nationals event winner Tony Bartone and the Bartone Brothers are hauling in from the east coast for a hit at four event victories and climb from current number three points slot. Southern California based driver Adam Sorokin and the Champion Speed Shop out of South San Francisco have plans to extract a little more time and keep the fire inside the small-block Chevrolet powered dragster out on the top end of the 1320. “We have been doing a little work with our supercharger set up as well as other things. 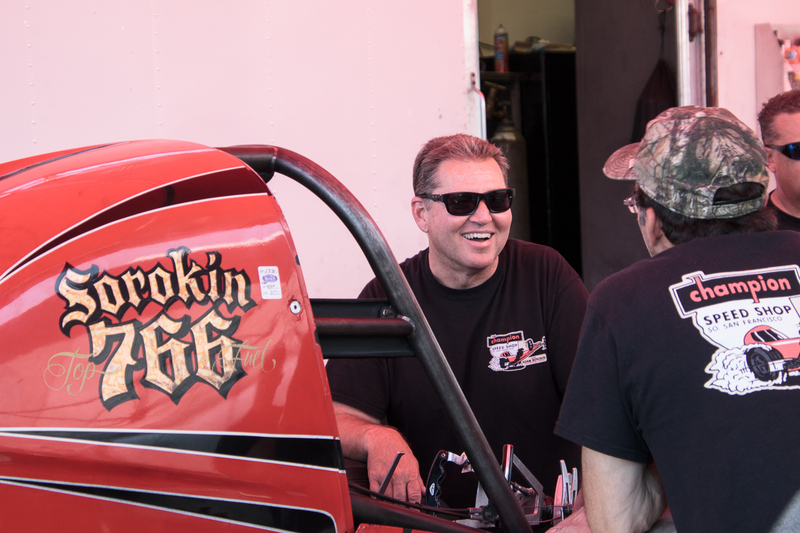 We’re just trying to get the car to last one more second”, said Sorokin who is currently locked into a 4th place points tie with Top Fuel hotshoe Dusty Green who will connect with the Nitro Hemi in Boise as it makes its way in from Colorado. Our nitromethane-powered neighbor to the north Phil Ruskowski is heading out to the Gem State with his small-block Chevrolet Mighty Mouse for some international front-engine Top Fuel competition after going up and out against Tyler Hilton at the Goodguys Pacific Northwest Nationals. Phil is currently tied for the 12th place with fellow front-engine Top Fuel dragster devotees Brendan Murry, Julius Hughes, Jason Greenwood, Paul Schultz and Tim Cullinan. Eight AA/Fuel Dragsters, 10 AA/Fuel Altereds, and 18 nitro-burning AA/Funny Cars add up to 38 nitromethane-huffing entries and 150,000 plus stand-shaking horsepower of under-the-lights header flames action. Fifteen Pro Modified doorslammers, two jet-powered dragsters, two jet-powered funny cars and the crowd favorite Candyland Stagecoach wheelstander are on deck to add that much more fire to the Nightfire Nationals with wildcard late entries a distinct possibility. 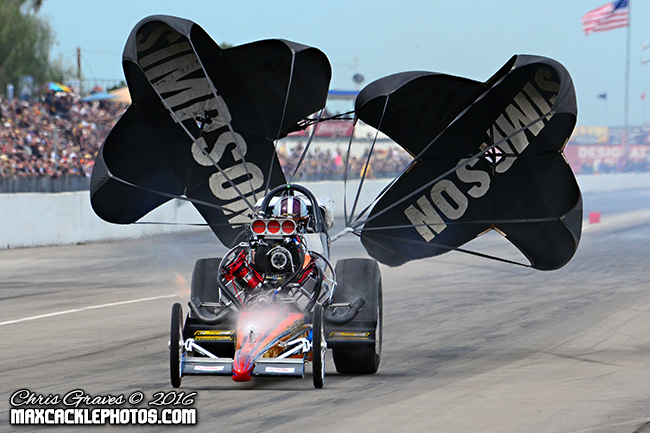 The Nightfire Nationals opens on Thursday, August 10th with Sportsman racing at 12:30 PM. 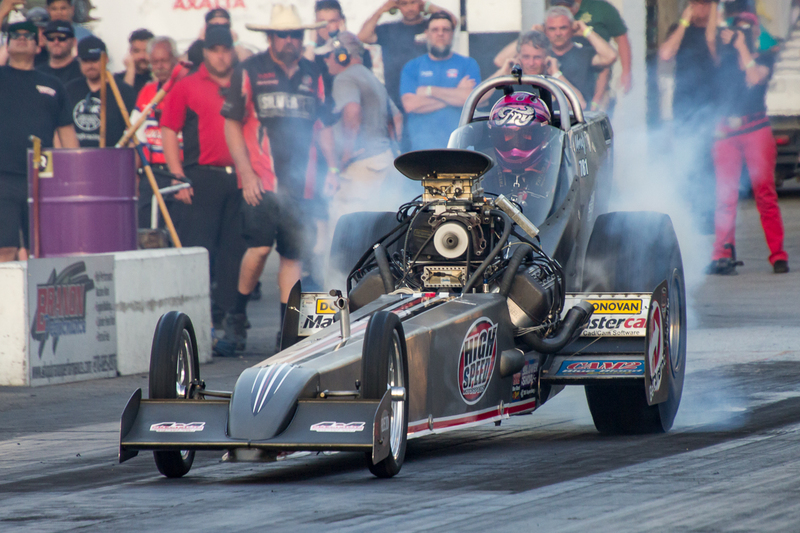 Top Fuel dragsters, Awful Altereds, and Funny Cars run into qualifying and eliminations under-the-lights Friday, August 11th through Sunday, August 13th. The schedule is subject to change. Firebird Raceway is located 5 miles north of Idaho State Highway 44 on Idaho State Highway 16. Discount tickets for the Nightfire Nationals are available at participating local Stinker Stores. For more information contact Firebird Raceway at 208-938-8986 or on the web at firebirdonline.com. Top Fuel points standings heading into Race 3 of the 5-race NHRA Hot Rod Heritage Series at the 46th Nightfire Nationals at Firebird Raceway. 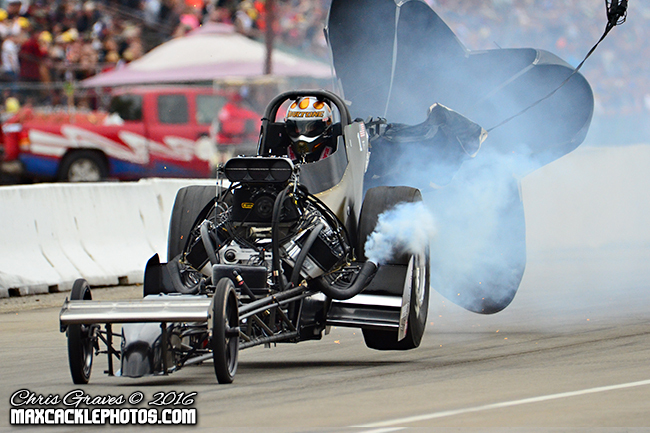 AA/FD YEAR IN REVIEW: 2015 TOP FUEL DIGEST AVAILABLE NOW! AAFD HQ, December 8, 2015—Who says print is dead? Not the AA/Fuel Dragster media mavens, who have organized a digest-format magazine chronicling all of this year’s action from the wildest circuit in drag racing, front-engine Top Fuel.